Art of Erika L. Chan: Cats and Dogs! 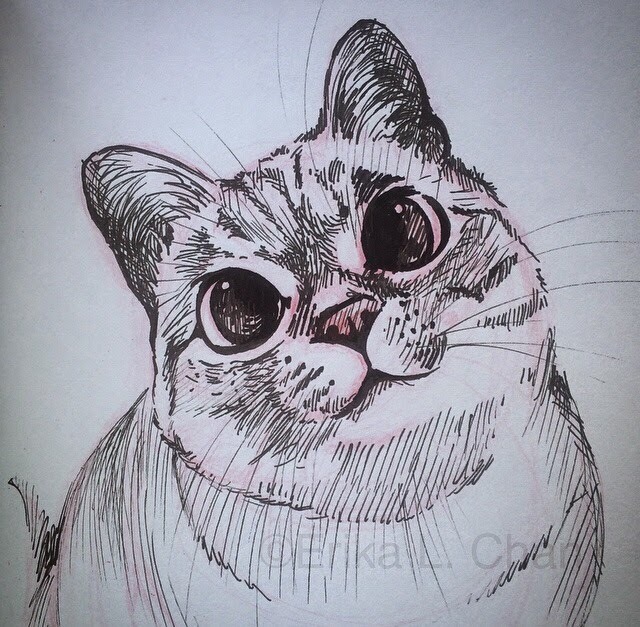 Here's to my favorite Instagram Rescue Kitty Ambassador, Nala Cat! Thank you for all your hard work helping rescue cats all over...and being so cute! And...this is Torro, the handsome Bull Mastiff I walk every week. 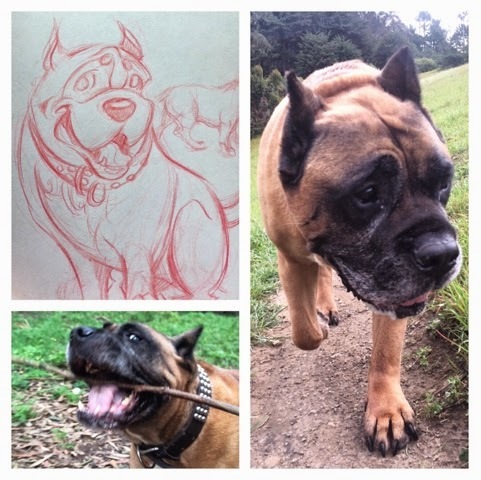 After some running up and down the hills and some stick tug o'war, he allowed me to sketch him for a few minutes.